We said that it would be unlikely that Mike Marts, Group Editor of the Batman titles at DC Comics would be making the move with the company from New York to Burbank, California. And now the other webbed boot has dropped. 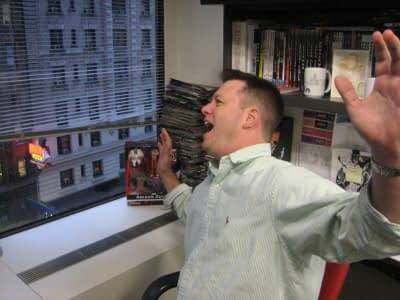 Mike Marts was Senior Editor for New X-Men, Astonishing X-Men working closely with Grant Morrison, Frank Quitely, Joss Whedon and John Cassaday and numerous other X-related hit titles at Marvel Comics from 1996 until 2006 when Marts made the leap to DC Comics. While at DC Comics, Marts was Group Editor managing the Batman books, but beginning this February, Marvel is excited to welcome him back to the “House of Ideas” as one of our newest Executive Editors.